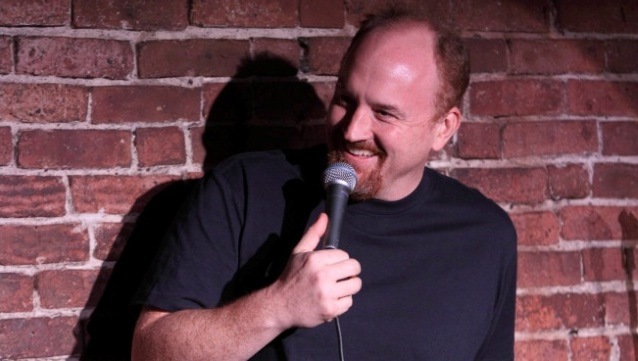 The solution that he heard from Carlin turned his career around: Use up all of your “best” material as fast as you can and never think about it again. Take all those ideas that you’re cherishing and holding tight to your breast, the ones that might make you big someday, and just use them all up. Write them and send them out and forget about them. Whenever I find myself saying “I can’t write that one yet, I’m not good enough,” I always try to remind myself that, If I’m not good enough, then my ideas probably aren’t good enough either, so it’s the always the perfect time to write whatever ideas I have. And even if I do find that I’m tackling something overly ambitious, that’s great, because it will force me to get better quickly. The worst thing you can do is to slowly polish some idea for years and years, convinced that it will one day make you rich. That will keep you looking backwards, not forward...and it will ruin the idea. You don’t want to add any polish to your ideas, you want to do just the opposite: strip them down to their essence. The more polish you apply, the more you’ll have to scrape off later. Precious material is death. The only way to get better is to generate new material, and the only way to do that is to find out what’s buried underneath every old idea that you’re still hoarding. What you’ll find is raw, uncomfortable, specific, personal, honest material. “Hey, Matt, what’s going on here?? You’re just agreeing with the Academy as often as not!” Yeah, I’m surprised at that, too. The unexpected upshot has been that I’ve rediscovered some great winners I hadn’t seen since high school. But don’t worry, I suspect that this run of non-dissent is pretty much over with this one. Other Movies That Should Have Been Considered: A Night at the Opera! How Hard Was the Decision: Somewhat. I re-watched The Informer, which is wonderfully atmospheric and subversively dark, in every meaning of the word, but it’s also hopelessly overwrought and Victor McLaglen, so appealing in supporting parts, proves to be too one-note for this complex role. 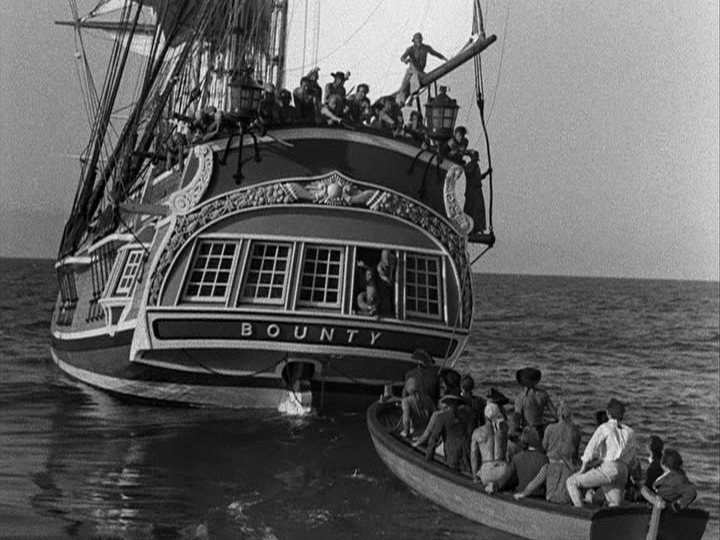 The Story: In 1789, unfortunate sailors are forced against their will to join a two-year expedition to Tahiti to bring back fruit trees, which might prove to be a cheaper way to feed the slaves in Jamaica. The captain is a petty little dictator, flogging the men mercilessly, stealing their food for himself, and hounding more than one to death. His right hand man defends him… until he can take no more. 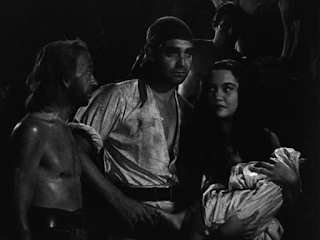 Any Other Nominations or Wins: Gable, Laughton and Tone all competed against each other for Best Actor, meaning that McLaglen got it by default. (There still was no Best Supporting Oscar. They added that category the next year in response to this problem). How It Won: As with Grand Hotel, this was a no-brainer: the biggest studio, biggest budget, biggest stars and biggest grosses all lined up. The reviewers were split between this and The Informer, (and for the first time, they started giving out their own awards) but at the Academy, it just couldn’t compete. I’m siding with the Academy on this one. This is our first big-budget epic and the verisimilitude and epic scale are simply stunning. 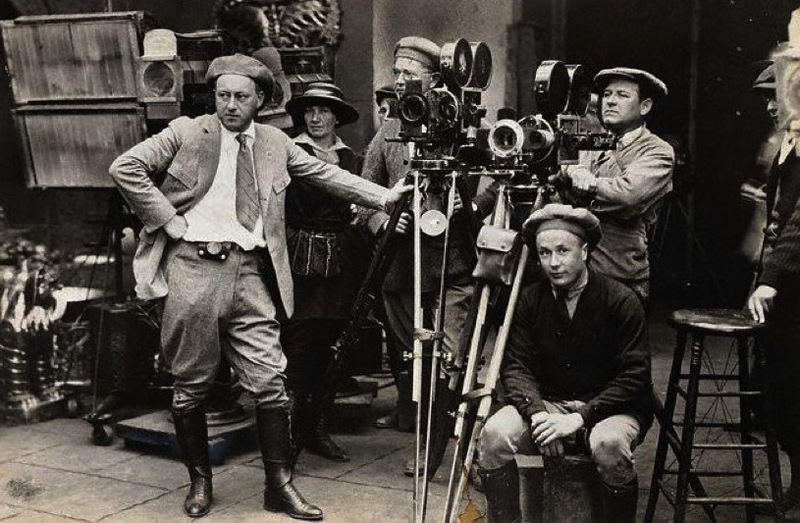 Even better, Lloyd, usually a workman-like director, rose to the occasion, crafting exhilarating, almost Soviet-style montages out of hoisting sales and weighing anchor. No matter how bad things get, Fletcher Christian stands behind his venal captain—until he finds himself in love with an island girl, and has to leave her behind. It’s a good lesson in motivation: a weak man only needs something to rebel against, but in order to motivate a strong-minded hero, you must give also give him something to rebel for. The emotional impact of this movie is momentous: we seethe with indignation at Bligh’s abuses, melt with longing at the simple justice of island life, roar in sympathy with the revolt, then something funny happens… Bligh’s heroic survival tale complicates everything. 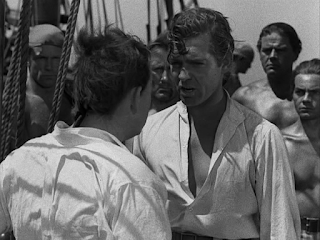 Similar to Michael Scott on “The Office”, the tragedy of Bligh’s life is that he’s a spectacular sailor who was disastrously promoted to become a terrible leader of men, resorting to tyranny to avoid facing his own insecurities. This is not a good vs. good movie, it’s an evil vs. evil: choosing between tyranny and revolution is the most bitter choice anyone can make, because there are no good outcomes either way, and the worst fate awaits those who try to find a middle path. The ending of this movie is astoundingly brave: We await the final battle, which will settle for us how to feel about everything. Instead, each man evades the others’ final wrath, forcing each to make a separate peace, diminished in circumstances by their choices but denied a final cathartic confrontation that would tell them whether or not they made the right choice. 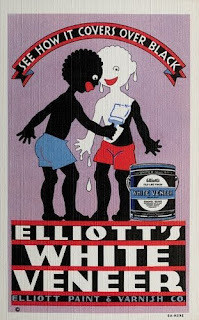 Hollywood was far too skittish to make a true slave-revolt movie, but this is a clever way to tackle the same basic material. Not only are the men themselves explicitly enslaved onto the ship, they overthrow a mission to make slavery cheaper for the empire. 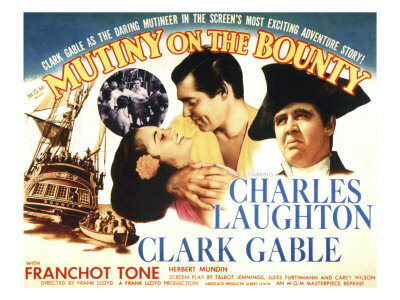 What we don’t see in the movie is that Bligh took on another two-year trip and finally delivered the breadfruits to Jamaica, but it was all for nothing: the slaves refused to eat them. How Available Is It? 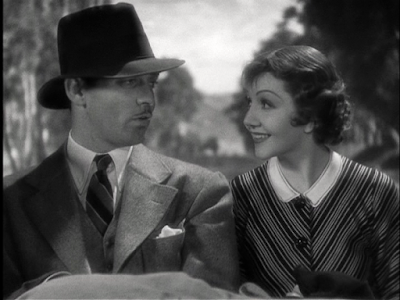 : Once again, it has a nice looking DVD with few features..
Ah, 1935: Presented Without Comment. I’ve said before that anyone can be a hero, but nobody can become a hero by doing what anybody would do. A hero must choose to take the road less traveled, and that must make all the difference. 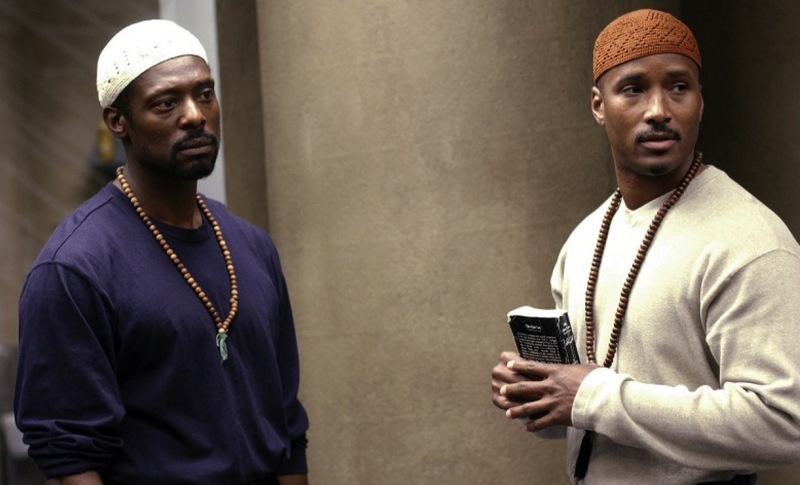 “Oz” wasn’t just order vs. chaos, you had another potential source of order represented by the Muslims competing with the warden to win the hearts and minds of the prisoners, which made it a far more interesting show. House’s team of assistants is polarized into head, heart and gut, but Cuddy represents a countervailing force: the more-ethical-but-less-effective status quo that House and his team are all competing against. 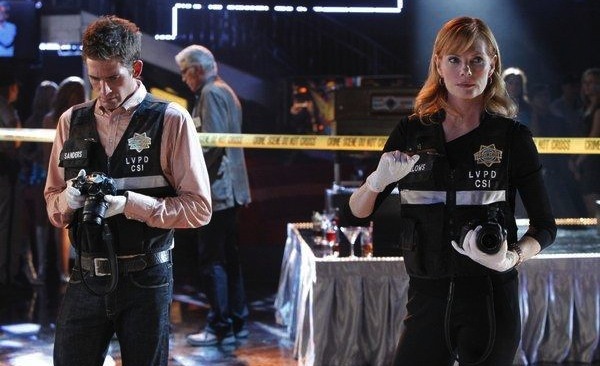 On “CSI” the competitors are the shoe-leather detectives, who rely on their own dubious instincts instead of paying attention to the evidence. Our lab-coated heroes aren’t just solving the cases, they’re making the case for a certain way of looking at the world. Sometimes there are multiple countervailing forces: On “The X-Files”, Mulder was competing against his bosses who wanted him to be by-the-book, local law enforcement who wanted to explain away the paranormal anomalies, and the pentagon who wanted to destroy all the evidence he collected. On “Hill Street Blues”, the public defender’s office challenged the cops’ methods on ethical grounds, and the street gangs competed against the cops as another source of street justice. This was really driven home by watching the pilot of “NYC 22.” Our heroes are hapless rookies cops who don’t have any competition. At one point they’re doing a “stop and frisk” and one of the targets makes a brief protest about the dubious nature of this tactic, but it goes nowhere, because ultimately, there’s nowhere else for these people to turn: the cops are the only representative of “order” and everybody else (including gangs and that lone complainer) just represents “chaos”. Once you’ve got all these separate storylines sketched in, then the really hard work can begin: the weave. How do you jump from storyline to storyline? How do you parcel out scenes so that every Act pushes each storyline forward? Which storylines provide the “Act Outs” (the last scenes before the commercials, which have shocking reversals or cliffhangers)? How can you arrange the various timelines so that they stretch over the same period of time, allowing you to intercut seamlessly? This is all much harder than it looks, and you don’t realize that until you see the occasional show where they screw it up. For instance: I remember a dreadful “Will and Grace” episode where the intercutting made no sense: In the “A” story, Will gradually realized over the course of several weeks that his new boss Gene Wilder was crazy. This was intercut back-and-forth with the “B” story, in which Grace, Jack and Karen spent one night in a limo parked on the street. So lazy. But wait, it gets harder: you also have to allow for these storylines to interact. In a truly great weave, they eventually unite and climax at the same moment, but at the very least, you have to consider how these sets of events would affect each other. 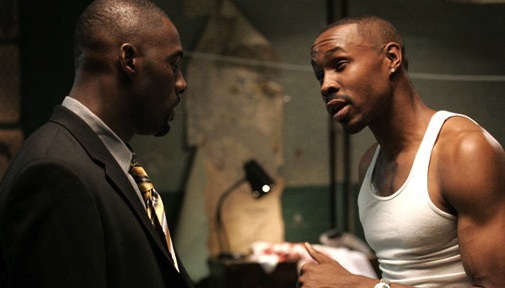 I know it’s heretical to say anything critical about “The Wire” but there are several episodes in the third season where the two storylines seem to totally contradict each other. In one storyline, the new police chief introduces a legalization project that virtually eliminates the city’s violent drug crimes. In the other storyline, Avon gets out of jail and ignites a violent drug war. So which is it? Did one set of writers not know what the other set of writers were doing? Yet another consideration when doing your weave: How thematically similar will A, B and C storylines be? If they have nothing in common, the episode might feel random and meaningless. If they’re too on-the-nose similar, then viewers will roll their eyes and groan. In too many “Modern Family” episodes, they ladle on the voice-over at the end to hit us over the head with the thematic similarities. If you want to see it all done masterfully, on the other hand, watch the recent “Mad Men” episode which intercut four different storylines over the course of one night that all had the same jumping off point: news reports of Richard Speck’s murder of eight student nurses. We saw four very different ways that characters can deal with their fears of becoming victims and/or victimizers, effortlessly interwoven so that they all reached devastating conclusions the following morning. Now that’s great TV. We all know, here in ambitious-writer-land, that the wildly successful “Twilight” series of books and movies is “bad”, and it’s easy to get furious about that… but that’s a trap . In fact, though you, as a person, may loathe the message that it sends out, there’s no reason for you, as a writer, to resent the success of that series. There’s a difference between “Wow, this person can’t write!” and “This person is writing for an audience that doesn’t include me.” It’s very easy to read something that has an annoying tone, or a certain set of affectations, and say, “That’s just bad writing,” but there’s a chance that this writer has identified an audience who craves that tone, and those people will eat it up. “Twilight” is poorly written, and yet it sells, therefore there’s no point is learning how to write well, since it’s all a crap shoot. OR: “Twilight” is poorly written, and yet it sells, so therefore all I have to do is write something that I think is much better than “Twilight” and I’ll sell even more copies than Stephanie Meyer did! OR: “Twilight” is poorly written, and yet it sells, so I should stop writing for my audience and start writing for her audience instead, since they’re obviously less discerning. None of these things are true. Just as you have to work hard to learn to please your audience, Meyer had to work hard to learn to please her audience. 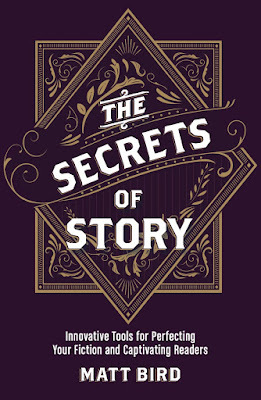 Pay no attention to lies in the press about “it came to me in a dream and I just started writing it down.” Press agents love to claim that the writing of a book was effortless, because then the audience can believe that these are somehow real characters who simply spoke to the author from another world. If the press agents admitted that writing was a lot of work, then audiences would start to realize that the author, like all authors, is trying very hard to manipulate their emotions. Instead of the self-destructive statements above, it’s far more useful to say to yourself. 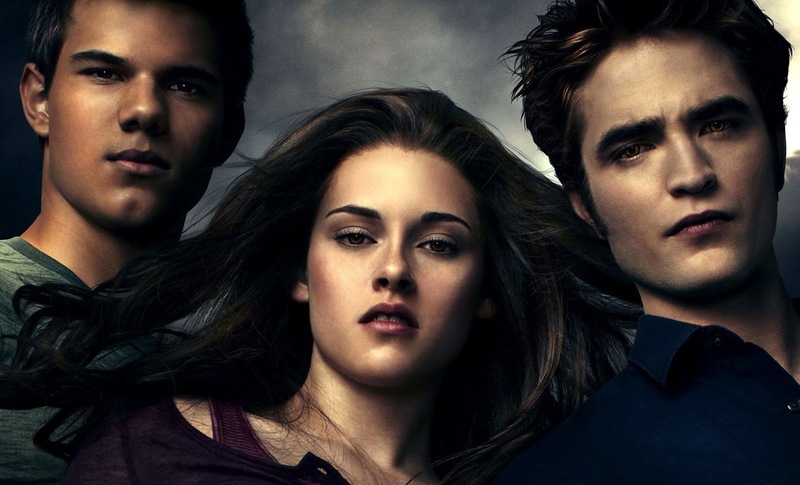 “Twilight” sells, despite the fact that it’s deeply annoying to me and seems to do everything wrong, because it focuses on pleasing a specific audience, rather than a platonic ideal. Rather than worrying about what every audience should want, how can I focus more on what my audience does want (even if my audience is very different from Stephanie Meyer’s)? AND: Is there a way to push more pleasure-buttons in my own work without sacrificing the subtlety and nuance that my audience desires? Most importantly, do not convince yourself for a second that Stephanie Meyer herself thinks that “Twilight” is bad, and that she’s just cynically exploiting the low standards of the girls who love her books. It never works that way. Successful “bad” art, whether it’s Stephanie Meyer, or Thomas Kinkaid, or Michael Bay, or Seth McFarland, is always made by true believers, who are making their own favorite type of art for their own audience. Other Movies That Should Have Been Considered: The pre-code era went out in style with Von Sternberg and Dietrich’s ludicrously lurid The Scarlet Empress. How Hard Was the Decision: Not hard. The Thin Man is great fun, but It Happened One Night is generally considered to be the movie that marked the beginning of Hollywood’s golden age. The Story: A rebellious heiress flees from her father’s captivity to go be with the cad she loves. A cynical newspaperman spots her on the night bus and escorts her to get the story, but soon they start to fall for each other. 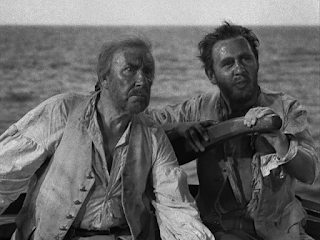 Any Other Nominations or Wins: This was the first of only three movies to sweep the “top five”, picture, director, writer, actor and actress...though it received no other nominations. How It Won: It was the little movie that could: every actor and actress in town turned it down until they finally got Colbert by offering more than her quote and borrowed Gable from MGM because Louis B. Mayer wanted to punish him by forcing him to make a stinker. And yet nobody could resist the final product. The screwball genre and the golden age were born. 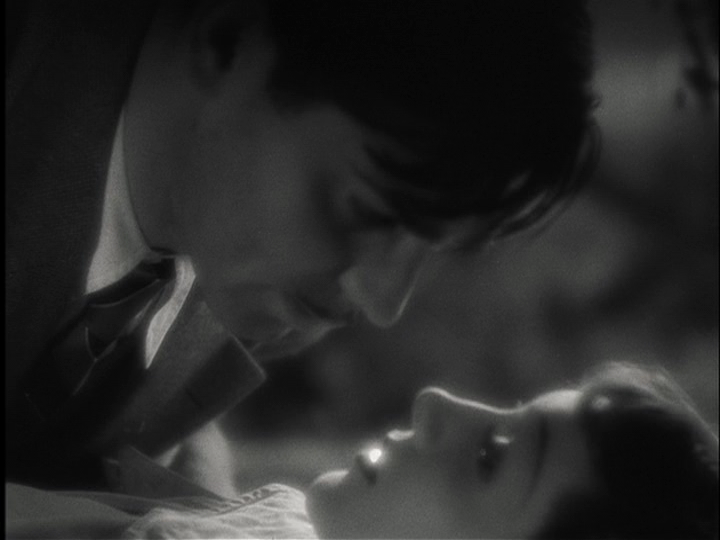 Most of the elements of the screwball are already here: a “will they or won’t they” couple (at least one of whom is wealthy) forced to overcome escalating obstacles that keep them from acknowledging their roiling sexual tensions. 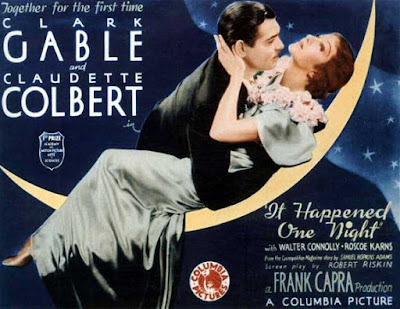 The only element still missing was the madcap absurdity that came to define the genre at its height from ’37-’42, but you won’t miss it here: this is a more fully-rounded story that works as drama, as comedy, and as romance all at the same time. Normally, I hate it when romances have a third act miscommunication that tears the happy couple apart, but it works here because it’s not just the capricious hand of fate (like the annoying delayed messenger that dooms Romeo and Juliet), it’s a misunderstanding that taps into their lingering mistrust of each other. How Available Is It? : It’s got a beautiful-looking DVD without a lot of features. Ah, 1934: B.O. Gave the Bride Away! 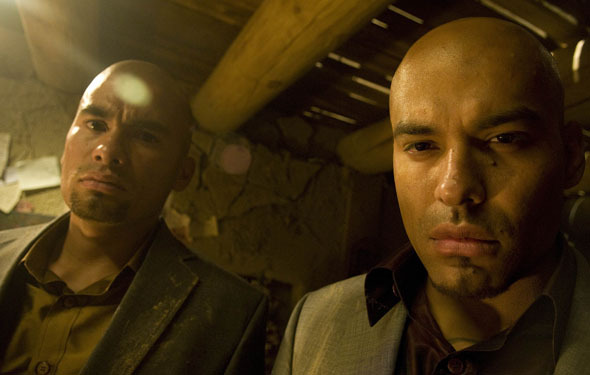 We’ve talked about how to create individual TV characters, but how do you create an ensemble? As with movies, you should either have one hero, or multiple heroes that actually represent one mind that has been split into two or three extremes. 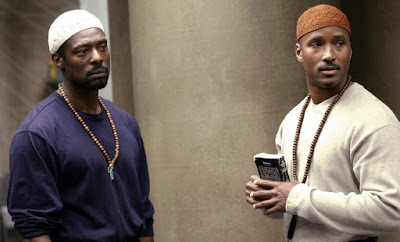 As I talked about here and here, TV characters are often more extreme than characters in real life, but this doesn’t mean that the writing is bad: Some writing attempts to recreate believable interpersonal dialogue, but it’s equally valid to dramatize the internal debate we have in our own heads, by having different characters represent different extremes. There’s nothing more dreadful or generic than a non-polarized ensemble. 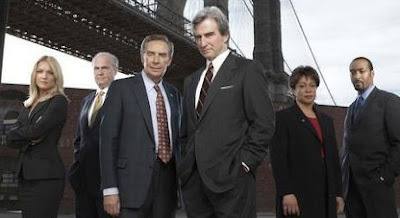 Because I’m developing a show with some similarities, I recently watched the short-lived “Law and Order” spin-off “Conviction”, about seven attractive young ADAs who juggled cases with their love lives. 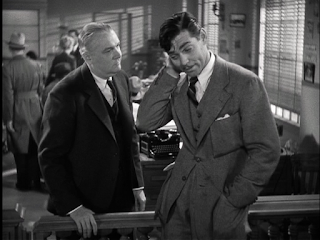 Each episode had three or four cases being tried, but ultimately it didn’t matter who was trying each case, since the characters were essentially interchangeable (aside from who they were sleeping with). Instead of asking, “how would this prosecutor handle this case?”, they just asked, “How would a prosecutor handle this case?” and then picked a character at random That’s not drama! Drama requires a volatile reaction between character and circumstance! As I talked about in this post, movies (or short-term TV series) sell us the fantasy of change: this is the story the most important and transformative thing that has ever happened to this person...the moment they finally turn their lives around. Obviously, you can’t do this on a long-term TV series, since the characters have to generate equally good stories week after week, year after year. Short-term characters have inherent contradictions that must be reconciled if they’re going to move on with their lives. Long-term characters have inherent contradictions that are ultimately irreconcilable, forcing them to bang their heads against a rock for at least a hundred episodes. The UK “Office” was conceived as a 14-episode show, so they were allowed to have a hero, Tim, who desperately wanted to quit his paper company job, and ultimately succeeded. But when Tim was transformed into Jim for the American version, they knew that they wanted the character to remain compelling for at least 100 episodes, so they tweaked him: he was still frustrated, but no longer dreamed of quitting...now he dreamed of fixing the place from within, a quixotic quest that he could never achieve, ensuring several years of good stores. 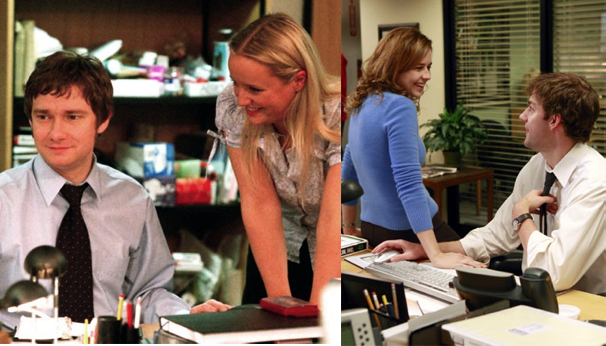 Another pairing of characters on the two versions of “The Office” illustrates another demand of long-term TV characters: They must be good at their jobs (at least a little bit). In the short-term UK version, Ricky Gervais’s David Brent was hopelessly incompetent, and we watched his 14-episode downfall. The American version had to last longer, so they added a brilliant and tragic new dimension to this character: Steve Carrell’s Michael Scott was still a terrible boss, but he was a brilliant salesman. He had simply been promoted out of the job he was great at into a job he was terrible at. Once we realized this, we didn’t really want him to be fired. Instead we wanted him to find a way to resolve this (irresolvable) paradox. Even then, it’s important to note that Michael Scott is the exception. 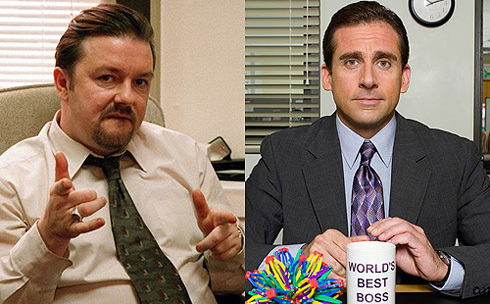 Most TV characters, whatever other flaws they have, are flat-out great at their jobs. This is yet another problem with shows about rookies. For rookie shows that do succeed, the clueless hero who has just entered into this world invariably has some in-born talent that automatically makes them better at some key aspect of the job than everybody who is giving them advice: This is true of Buffy on “Buffy”, of Merlin on “Merlin” and even of Walt on “Breaking Bad”. “Homeland” is an interesting exception. 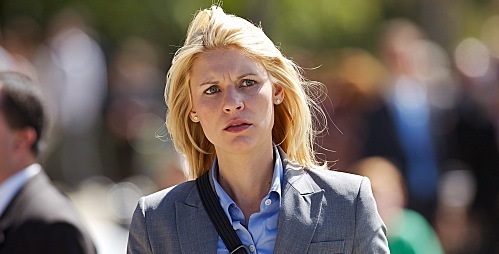 Carrie is a very rare type of TV hero: a veteran screw-up who is always on the verge of getting fired. But the thing that makes her a screw-up, her mental illness, also gives her an ability to make connections that all the other spies miss, and they know it, so they have to keep her on. This points us to another aspect of TV characters that help makes them irreconcilable: their flaws are inextricably tied to their strengths. This brings us back to one of my favorite character intros: Clooney’s Dr. Ross on “ER” gets too emotionally involved, which makes him need to drink, but it also makes him a great doctor. 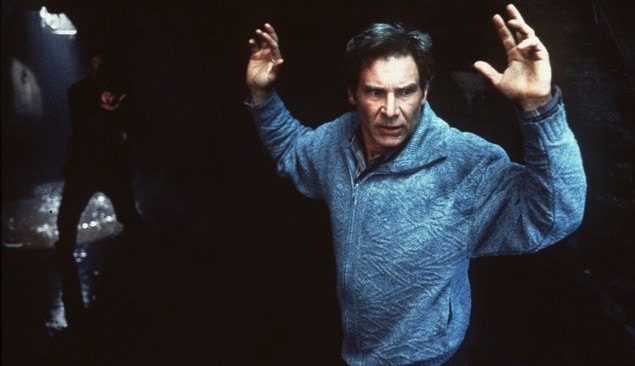 We wouldn’t want to fix him, any more than we would want to fix Carrie, even though we know that their irreconcilable contradictions are tearing them up inside. Their pain is our gain. For the most part, we’ve talked about writing spec pilots that will never be made, but today let’s actually try to get a show on the air. In order to do so, you have to think the way that networks do, and the first thing you have to understand is that networks vastly overestimate the importance of their own house ads. Networks love promos for their own shows so much that they’re now willing to float them on top of their shows, and sometimes leave them on the whole time! I don’t know about you, but if I have to look at an ad for a full hour, I’d rather content myself with knowledge that the network got paid a boat-load of money to run it, instead of just handing it out free to another show at the network! But house ads can’t do them any good if their shows aren’t in pairs: they have to have one show that can (or should) share the same audience as another show, so that the two shows can set up a feedback loop: promoting each other more and more. The next thing you have to know is that reality shows are a good (and low-cost) short-term revenue stream, where as scripted (fictional) shows are a good (but high-cost) long-term revenue stream. Despite predictions that reality would kill scripted TV, just the opposite has happened. Every basic cable channel with its own hit reality show now wants a scripted show to pair it with. That way they can channel the short-term value of the reality show into a more long-term pay-off: a scripted show that will go where the reality show can’t: syndication and DVDs. A blatant example: A&E had a hit show called “Intervention” so they started a scripted show called “The Cleaner” about an intervention-coordinator to pair it up with. 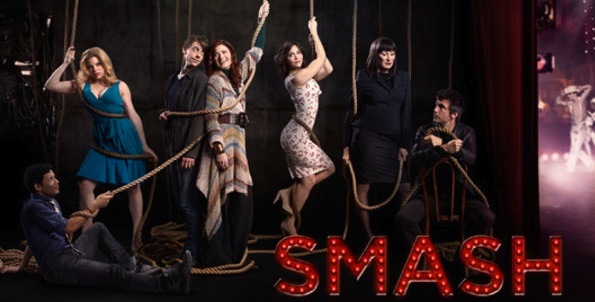 Big networks do it, too: NBC decided to pick up “Smash” once “The Voice” became a hit, knowing that they could pair the two together, just as Fox had done with “Glee” and “American Idol”. The CW has been desperate for years to get a hit show about modeling to pair with “America’s Next Top Model”. They’ve all failed, but I suspect that if you pitch them another model show, they will jump on it. Once you start noticing this phenomenon, you will see it everywhere. 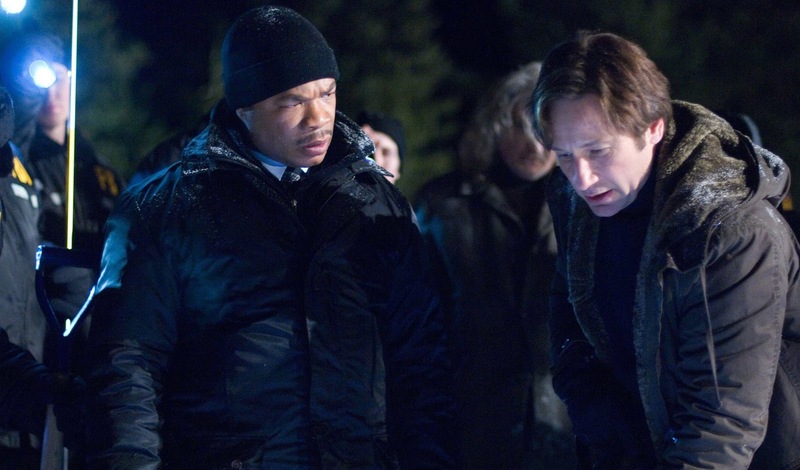 This can pay off for you: If you’re pitching a network (or even writing a spec pilot that they might see), find out what their top-rated non-scripted programming is, then create the ideal companion. The key to any sales meeting is this: don’t sell them what you came to sell, sell them what they came to buy. I promise you that basic cable networks are looking for shows about ice road truckers, cake bakers, snipers, and wedding planners. Even better, make a show about a bickering-but-loving family with one kid in each of those professions—You could sell it anywhere! So recently I’ve been eating my spinach, which is to say that I’ve been catching up with the ScriptNotes podcast by John August and Craig Mazin. I feel I must listen because this is an opportunity to hear two big-money screenwriters give inside tips about how to survive the business, and I do appreciate that they’re taking the time to do that, but I have to force myself to do it because I find them both to be pretty obnoxious. I’m not going to fall into the trap of casting aspersions on their produced credits, because I certainly understand that a writer has very little control over which jobs they get (In fact, John and Craig did a pretty good episode about that here) but I don’t have to, since my problem is with each guy’s online persona…. Craig ran the ridiculously smug blog “The Artful Writer” for many years, and he’s rather infamous for his disastrous interference in the 2007 writer’s strike. John’s eponymous blog is occasionally fun, but the good is mixed in with a lot of blasé cluelessness, such as his piece about how you shouldn’t write any screenplays about people trying to get a million dollars anymore, because a million dollars is just chump change these days (to guys like John). And it’s that last one that points to the most infuriating element of the podcast. Almost every week, for one reason or another, they launch into an attack against people who get upset by low-quality movies. “Who cares?”, they demand to know, “Bad movies aren’t hurting anybody!” These giddy tirades inevitably end with a pumped-up Craig yelling “SHUT UP! SHUT UP!” while giggling. Can you spot the connection? A bad movie isn’t a big deal…if a million dollars is chump change. But for most moviegoers, neither of these things is true. After a long week’s work, if you go to a movie by yourself on a Friday night, you’re dropping $10-$17 for the ticket. If you bring your family, it shoots up to $60 or more. For many American families, that’s their entire entertainment budget for the week, and even if it wasn’t, that’s the only “night out on the town” that they can carve out from a 50-hour work week. I hate to shock John, but for the average joe, a million dollars is actually a lot farther away now than it was thirty years ago. Wages haven’t kept up with the rate of inflation (but costs such as movie tickets have exceeded it). So yes, if you use up several hours’ wages and the only entertainment time your family has on a bad movie that none of the moviemakers really cared about, that is kind of a big deal. John and Craig are allowed to goof off all they want going to free screenings, so they don’t realize what they’re asking of the people who have to pay to see their movies. Which, come to think of it, explains a lot. A casual observer might look at the endless spate of cop shows on TV and say “cop arrests crook, they’re all the same…” But the best TV shows succeed because they have a unique point of view. This p.o.v. is usually defined by the first scene in the teaser, which is literally our “way in” to the story. “Columbo” always began with the murderer, showing the whole crime. Only then did Columbo himself arrive to start playing catch-up. 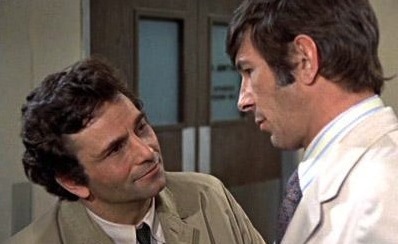 This established that this show was about the psychology of murder, with Columbo as unassuming shrink-with-a-badge. Given this point of view, it wasn’t surprising that we never saw his home or wife. Likewise with “Law and Order”, which always began with random passers-by discovering a body on the streets of New York. Though we never saw these passers-by again, starting with them established that the show was about the cops and prosecutors in their role as public servants. The focus was on how each crime affected the public’s sense of safety and morality, not on the lives of our heroes. “CSI” begins long after the body has been discovered, with the first moment that the techs cross the yellow crime scene tape. We then zoom in on the pieces of evidence that will tell our story. The evidence is the hero, and the characters are merely its interpreter. Many sitcoms are now told from the perspective of documentary film crews, but “Arrested Development” was the only one to add an unreliable narrator. “How I Met Your Mother” is supposedly told to Ted’s kids (see above), despite the fact that it’s one of the raunchiest shows on TV! “Louie”, like the early seasons of “Seinfeld”, begins every episode with Louis’s stand-up routine, then jumps into his life to illustrate his points. “Burn Notice” almost never begins with the injustice-of-the-week, preferring to start with a problem in the hero’s personal life. This establishes that the action on this show is usually a metaphor for a personal problem, and not the other way around. “Breaking Bad” usually begins with a hint of some danger to come… maybe some killers looking for Walt, or a hallucinatory flashforward to a future catastrophe, then cuts to some utterly mundane aspect of Walt’s day, emphasizing the irreconcilable contradictions of his life. “30 Rock” frequently begins with Liz showing up at work, only to be instantly accosted with each of her co-workers’ crisis of the week. 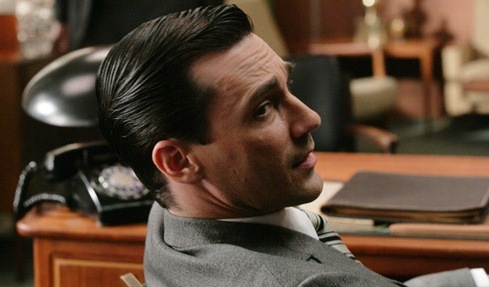 Of course, there are also great shows like “Mad Men” and “The Simpsons” that have no fixed point-of-view at all, but these shows are about such unique worlds that they don’t feel as much need to distinguish themselves from other, similar shows. One nice thing about establishing a unique point of view is that it allows you to re-tell classic stories in a fresh way. “Columbo” and “Law and Order” may have already done “wife kills her husband’s mistress” stories, but “CSI” is going to tell it in a new way: from the point of view of the evidence. The most important thing that studios and showrunners look for when they read a spec pilot is a new “voice”. They want someone who can find a new angle from which to tell whatever story they’re assigned to write. Writing a spec pilot with a never-before-seen point of view is a great way to prove that you’ve got what they’re looking for. Earlier, I recommended that a spec pilot can go a little crazy, and explore strange new professions, but there are good reason why TV shows love cops, doctors and (to a lesser extent) lawyers. It’s good to know what those reasons are so that you can know what problems you might face if you try to do something more ambitious. The stakes are high, because their decisions are matters of life and death. Trouble walks in the door every day. They don’t have to generate any business, because the phone is constantly ringing with someone who desperately needs their help. They live in a world that brings rich and poor together. Too much wealth and a show seems frivolous. Too much poverty and it seems hopeless. They have decision-making power in the field. They aren’t just following orders. They have to improvise. This is why there was always a mole inside CTU on “24”. You have to get to a point where the hero can’t call for back-up and has to handle it personally. Okay, but all of the above are also true for fire fighters, so how there aren’t more shows about them? One big problem is that fire-fighting doesn’t really have any moral gray areas. Fire is an obstacle, but it’s not a conflict. Everyone agrees that the fire should be put out, so there’s nothing for your characters to debate. Cops, doctors and lawyers face much trickier decisions. They engage in both physical and cerebral activity. It’s boring to watch somebody sit and think. You want to get them up and moving. There’s a reason why everybody walked-and-talked on “The West Wing”: to hide the fact that nobody was doing any hands-on work! This is huge and it might be hard to spot at first: they don’t make long–term commitments. Danger comes in the door, they take care of it, and they send it right back out. We get a new story every week. One problem with a show like “The Philanthropist” is that real philanthropists can only help people by committing for the long term. Watching a situation slowly improve over several years is booooooring. …And yet, we come to care deeply about these productions and their ups and downs, because the writing was just so damn good. They made us care, even though we had no good reason to. We forgot that the stakes were so low. They made us share the characters’ long-term commitment to making these plays better, bit by bit. It’s always going to be a hell of a lot easier to get us to care about cops, doctors and lawyers, for all the reasons listed above, but a great writer can make us care about anything. Are you sure you’re up to that challenge? There are still lots of questions on the checklist with nothing to link to, so I’ll be periodically filling those in. 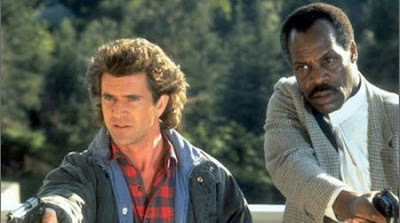 Is Lethal Weapon 2 the worst movie ever made? Maybe, but I can say with certainty that it’s the most infuriating movie I’ve ever seen. What a predicament! How will our cops figure out a clever way around this conundrum? Well, they don’t: they finally just get fed up and say “Screw it!” They barge into the bad guys’ place and begin a raging gun battle. Oh no, what will the consequences be for our heroes?? Answer: nothing. They eventually call in back-up, the police arrive to help and then they all stand up and cheer together. 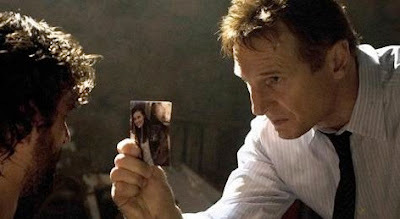 A similar recent example was Taken, in which Liam Neeson wants his daughter back so badly that he’s willing to do anything... He even shoots the Paris police chief’s wife and then refuses her treatment until the chief tells him the whereabouts of the bad guys! Wow, he’s willing to throw his own freedom away in order to save his daughter! Except not. Here’s how naïve I was: I genuinely expected the movie to end with Neeson in prison, getting a visit from his daughter, and assuring her that it’s all worth it if she’s okay. Nope, it ends with Neeson happily flying home with his daughter without a care in the world. Um… How does that work? Now don’t get me wrong, I realize that a lot of people love these movies just as they are, and they wouldn’t be happy to see our heroes sitting in jail at the end, but nobody’s proud of themselves for loving these movies. They get their adrenaline pumped, but when the credits roll, the taste of joy has already started to turn sour in their mouths. They know it doesn’t really make any sense. As I mentioned here, two thrillers that have stood the test of time did a much better job with this: the economy gets wrecked in Jaws, and Lechter escapes in Silence of the Lambs. Our heroes have made painful choices and must live with the grave consequences of the risks they took. 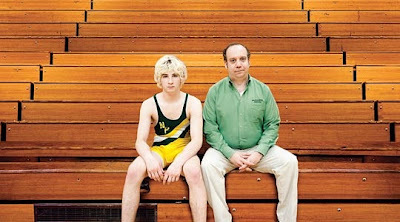 One of the best movies of last year (which I totally forgot about by the time I did my “best of” list) was Win Win. We’ve seen a million movies about lawyers who skirt ethical issues, then have to come clean, only to find some dubious cop-out at the end that allows them to keep their practice, so I was deeply gratified to see the final shot of this movie, which respected our intelligence and showed some real-world consequences. Most movies are about a hero trying to solve a personal problem. 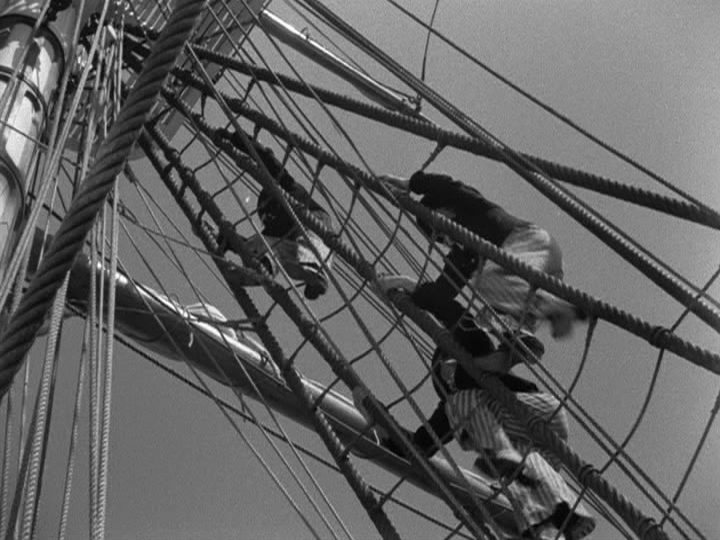 The problem becomes acute in the first scene and it’s resolved (or peaceably accepted) in the final scene. Therefore, the way to get from scene to scene is not determined by “Where does my hero go next today?”, or even “What is the fallout of this scene?” Instead, the next scene should be the next step in the escalation or solving of the problem, whether that happens immediately after the previous scene or two years later. Once you’ve established this rhythm, the audience will subconsciously realize that they are following the path of the hero’s problem, not the hero’s life. And as the audience engages with the story, they will begin to attempt to guess: Will the hero’s problem get worse or better in this scene? If you’ve done your job and made them love your hero, then they will be rooting for the problem to get better. But what does that mean? It depends on the scene. In most scenes, the audience will want the same thing the heroes do: the heroes pursue a goal and we root for them to achieve it. But in some scenes, the audience will be rooting for some heroes not to get what they want. For one reason or another, we know that they are pursuing a false goal and what they’re attempting to do will only make their problem worse. In these scenes, we root for the hero to realize that what they want is not what they really need. Sometimes, we find ourselves rooting for both outcomes, causing a pleasant cognitive dissonance. I’ve written before about Psycho: we want Tony Perkins to get help, so we don’t really want him go get away with hiding Janet Leigh’s body, but when the car bobs back up out of the lake, we gasp for fear that he will be discovered. Hitchcock is forcing us to root for what Perkins wants (to get away with it) and what he needs (to get professional help) at the same time, even though they conflict. Even when we’re straightforwardly rooting for a good-guy protagonist to succeed, that doesn’t mean we’re always rooting against the bad guys. In a movie like The Fugitive, we root for the both the protagonist and the antagonist in alternating scenes, even through they’re working at cross purposes. Ultimately we’re rooting for them to realize that they share the same true goal (arresting the right man) before they kill each other. In The Rock, we see that Ed Harris is basically an honorable guy so we root for him to achieve his ends (exposing government corruption), but not through these means (taking hostages). Die Hard is an even more interesting case: we hate that Hans is threatening our hero and his wife, but we find ourselves oddly cheering for him to kill off the FBI, because they’re lunkheaded jerks (who have insulted our hero) whereas Hans is clever, witty and sophisticated. If you’re telling a straightforward story, then there’s nothing an audience hates more than to have no rooting interest in a scene. “Why are they showing me this? This isn’t moving the story forward. I can’t even figure out what’s supposed to happen here, or how to feel about it…” Instead, you must either trigger straightforward feelings in your audience (stand up and cheer!) or trigger ambiguous feelings (I want the hero to succeed and fail, and I can’t decide which I want to see more…). As soon as a scene begins, let your audience know that one of a few things might soon happen, then get them to root for one or the other, or maybe even, if you’re really good, for more than one irreconcilable option. Once they’re rooting for a certain outcome, then how you end the scene will either make them feel good, make them feel bad, or make them feel something more complex… but you must make them feel something.